This striking varnished Oak flooring not only introduces a light, spacious feel to the room but is also incredibly hard wearing and durable. With a 25 year warranty, this is certain to be a stylish addition to the home for many years to come. 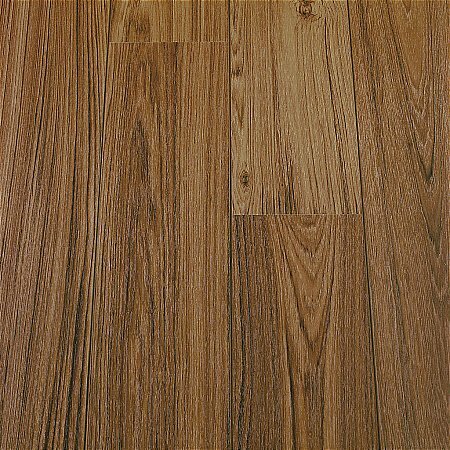 Perfectly suitable for parties, pets or children, this flooring is incredibly resistant to knocks, bumps, scratches as well as bright light and even cigarette burns. The moisture-resistant surface features a splash warranty - small amounts of liquid on the flooring surface present no risk of damage providing they are quickly wiped up. The incredibly easy to use Uniclic installation system also features a lifetime warranty, whilst the closed structure of these planks prevents any dirt or dust getting in. 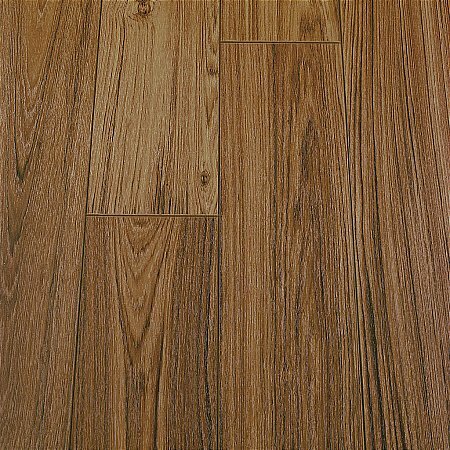 An all round durable and hard-wearing flooring solution. 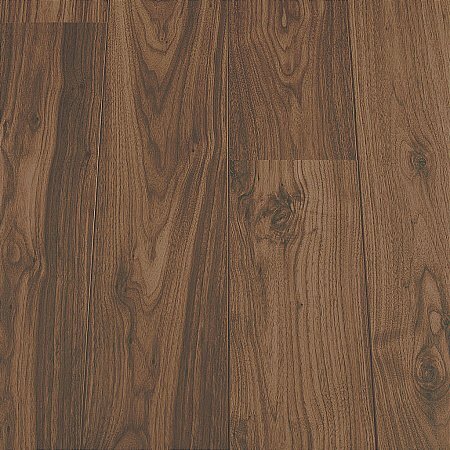 The varnished oak planks feature a contemporary style and introduce a light, airy feel to the room. 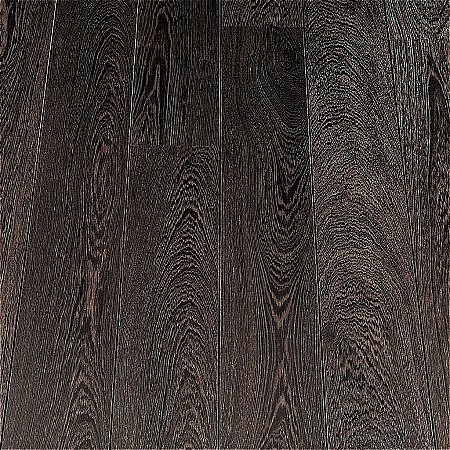 The unique grooved style, combined with the wide colour variation, offers a natural appearance, whilst the long plank measurements create a sense of depth in the room. 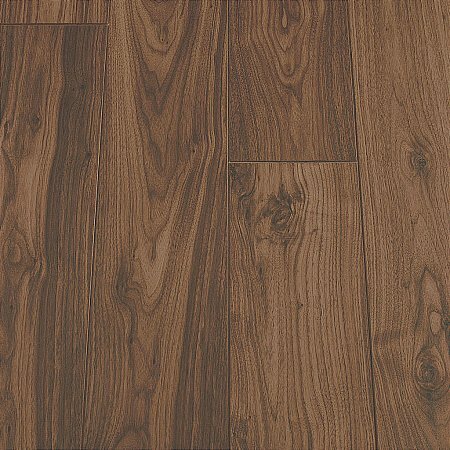 With a thickness of 9.5mm, this flooring is incredibly easy to install thanks to the handy Uniclic system. 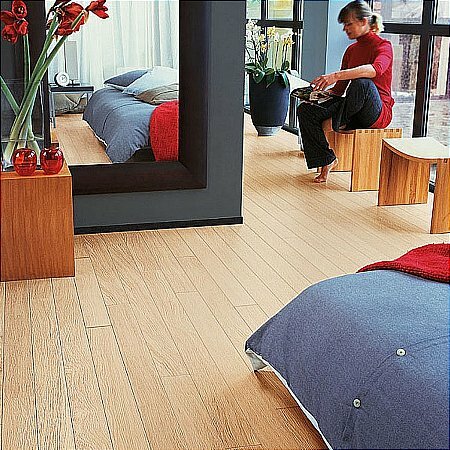 I would like more information about Perspective White Varnished Oak Planks by Quick Step.